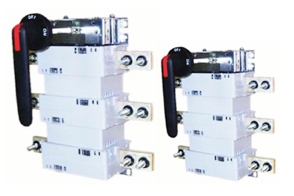 VMtec offers Switch Disconnector units from 32A to 3200A ratings, 3 Pole as well as 4 Pole. These have AC23A utilisation category as per IEC 60947 / IS 13947. They are available with DIN as well as BS type fuse holder & suitable for operations upto 690V. They have been tested in independent & internationally acclaimed laboratories of ASTA for compliance to IEC standards, and at CPRI & ERDA for conformity to IS standards. 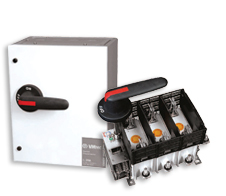 The mounting flexibility offers matchless benefit for use in MCC / PCC distribution boards or for standalone mountings. It is compact enough to occupy small panel space yet allowing installation as per convenience and rendering it safe for maintenance. 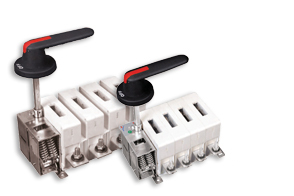 These switches are ideal for breaking stalled motor current, switching highly inductive loads, capacitor banks, DC loads etc. They have been used successfully in almost every industry, becoming the exclusive choice of every discerning user. 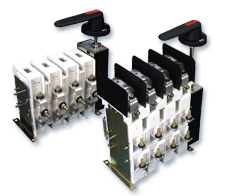 These switches are ideal for breaking stalled motor current, switching highly inductive loads, capacitor banks, DC loads etc. They have been used successfully in almost every industry. For over 15 years now, with their rugged design combined with ease of operation and maintenance, they have stood the test of adverse environments in all climate of various countries. Becoming the exclusive choice of every discerning user.